In this coming of age film, a twelve year old girl searches for her mother's replacement after her mother commits suicide. 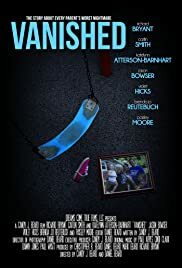 In the fall of 1993, more than 8 kids disappear. This town has some deep and dark secrets buried, along with another type of evil. A young boy in '93 finds himself returning to his hometown to dig up the evil that is buried. Former police detective Dave Paulides investigates extraordinary mystery cases about missing persons in the national parks. A senator's wife goes missing.